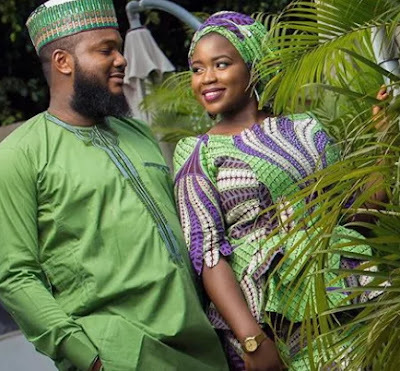 Meet Zainab Sodangi, a newly married bride who died a week and few days after exchanging marital vows with her hubby, Sondagi Salim. 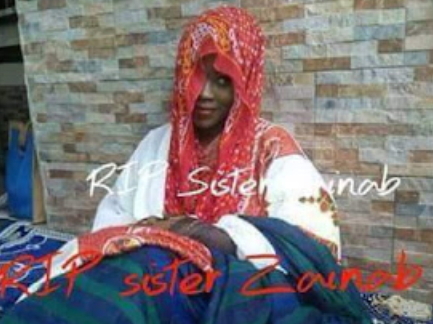 Zainab who got married in Abuja on Tuesday the 29th of August 2017 died 10 days later while entertaining some family members who came to honour them at home. According to family sources, Zainab who was full of life sat on a chair after playing with everyone. She suddenly stopped breathing with her eyes wide opened. The family source who broke the news said her death came as a surprise to everyone as she was not sick prior to death. Very terrible hearing this kind of news.may her soul rest in peace Amen! May God deliver us from the enemy within! So person can not die anymore without God’s knowledge?. What is “enemy within”?. Her time was up n earth. That was the way she was destined to transit to barzakh (life after death). Yoo.. This is sad, If u look at her u’d never tell she’s dead.. Shame.. RIP Madam.